Memcached is a high-performance, distributed memory object caching server that, despite being over 10 years old, is still used by great many organizations around the planet. While we don’t use it at Sematext, we are happy to announce our SPM Performance Monitoring platform can now monitor Memcached performance and graph Memcached stats. Of course, all the usual alerting, anomaly detection, etc. can be used with any of the Memcached metrics. 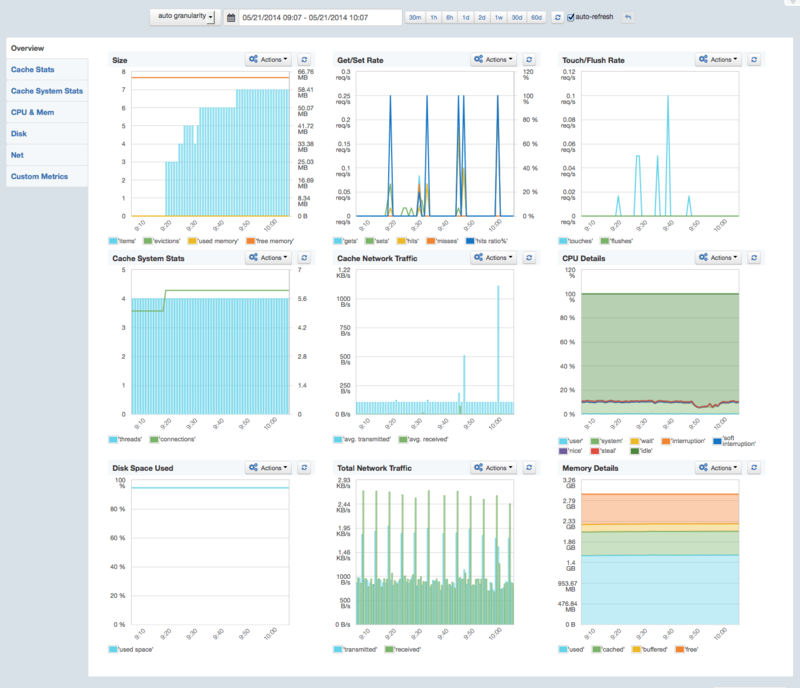 Have a look at a few of the screenshots to see how we graph Memcached metrics in SPM. You can also check out SPM’s live demo. You won’t find any demo apps showing Memcached metrics, but you’ll be able to poke around and see other types of apps being monitored, like the MySQL DB monitoring demo. Why Have Something to Just Monitor Memcached?